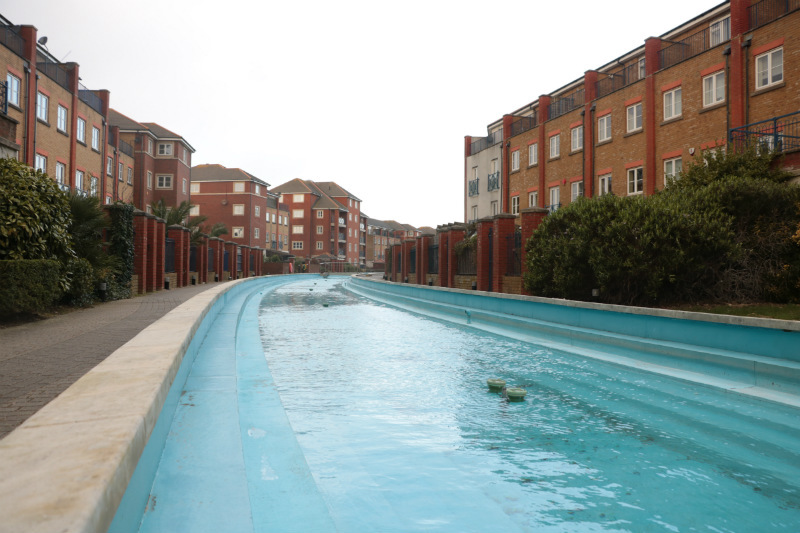 We are delighted to announce that we have commenced work on the refurbishment of Columbus Point Water Feature in Sovereign Harbour, Eastbourne. 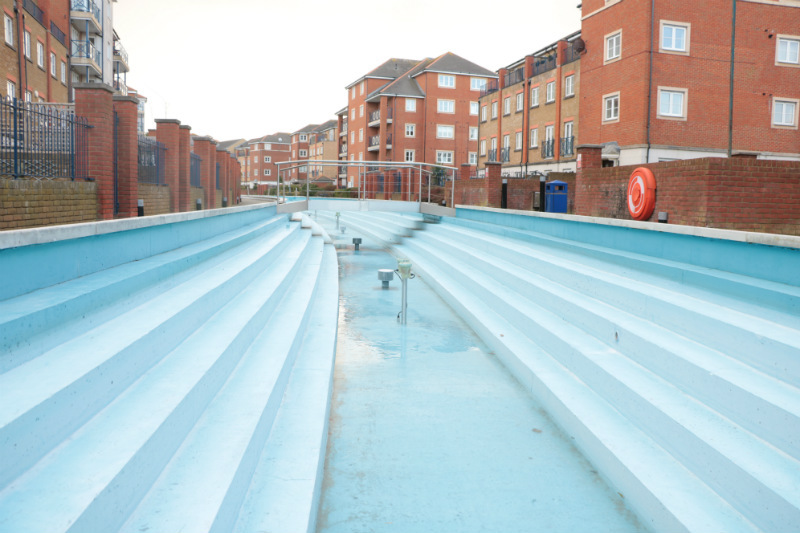 Following a robust selection process with Columbus Point Management Company, who caretake the water feature, we were chosen as the preferred supplier for this large-scale refurb. 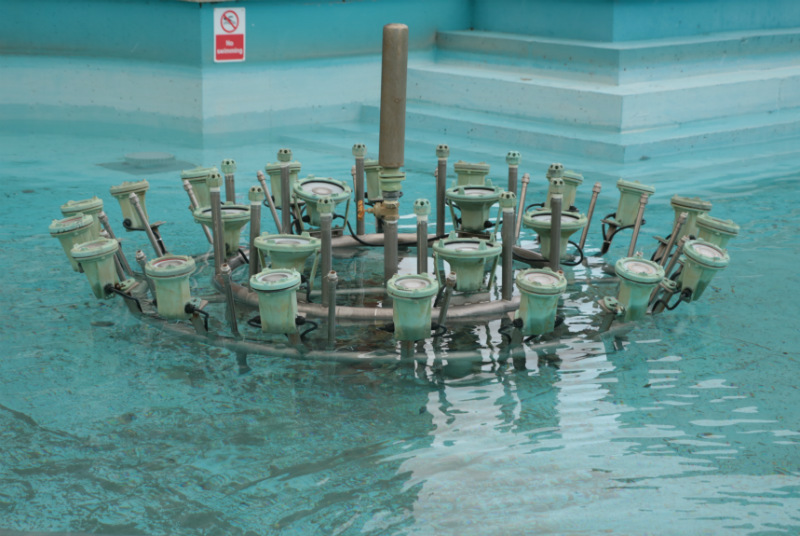 As one of the largest water features in Europe, anchor shaped and measuring 310 metres long, Columbus Point refurbishment represents an exciting project for our team. It will take us around three months to refurbish the entire feature, each section of the anchor taking a month. The water feature will be sanded, primed and then coated in resin. The first section has now been drained, in preparation for sanding. We are partnering with Westwood Liquid Technologies, who provide cutting edge, hard wearing resins which will help to give the water feature a unique finish. 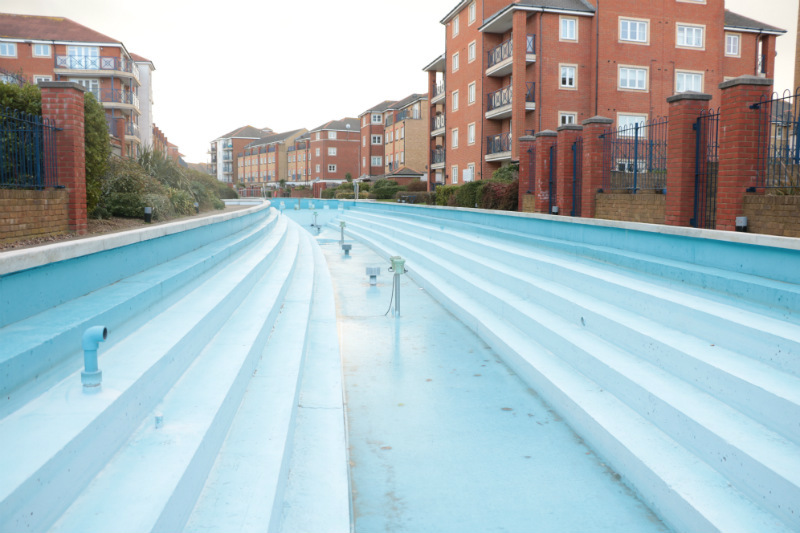 We put the resin through a rigorous testing process to ensure it can withstand the chemicals used to treat the water over a sustained period of time. 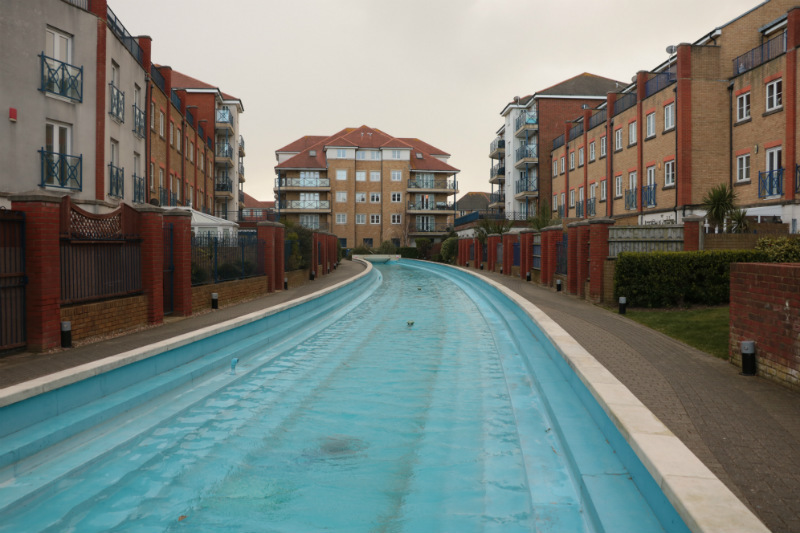 Columbus Point is owned by the 369 properties that surround the water feature. We’ve worked with the management company and the residents to help them choose the finish through a consultation process designed to ensure they will be really happy with the end product. The refurbishment will be finished ready for the Summer. “We are delighted to have been selected to partner with the Columbus Point team to deliver the refurbishment of this beautiful water feature. 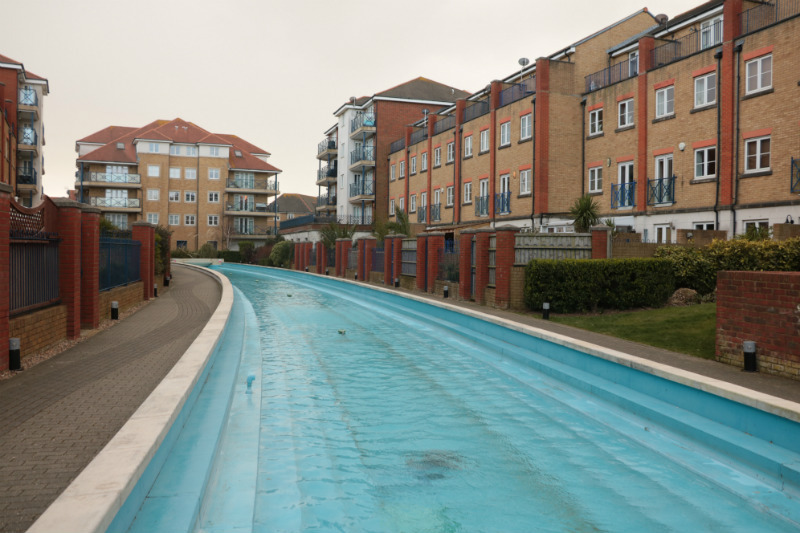 We’re using an innovative new product produced by Westwood Liquid Technologies to ensure that the water feature looks it’s best for residents and visitors for many years to come. Watch this space for updates on how the refurbishment is coming along.